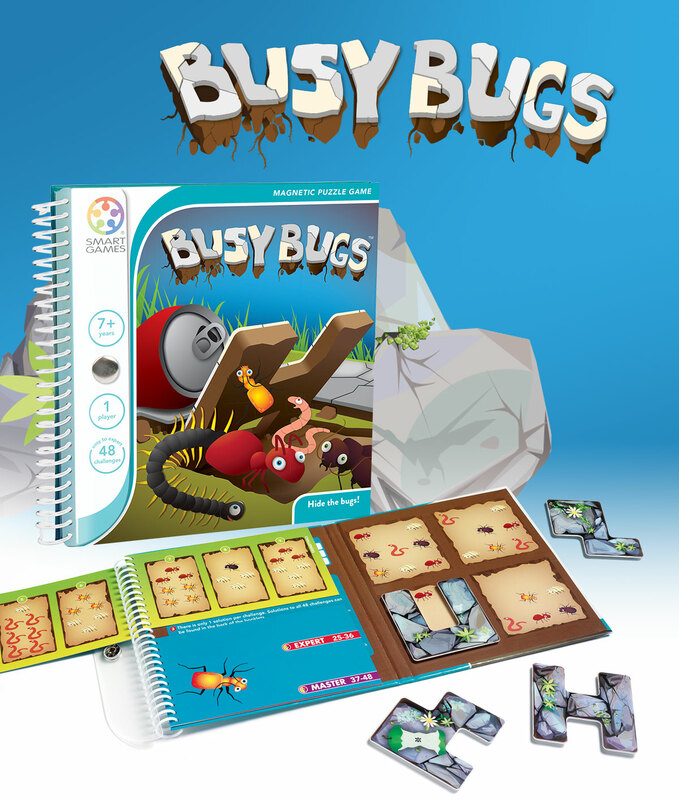 Use your brain to discover the hideouts of the busy bugs! Place all 4 pieces of the puzzle onto the board so that only the challenge images remain visible. Based on the award winning puzzle game “Hide & Seek”, but in a more compact format.